No Risk. We Provide a Money-Back Guarantee* – With our money-back guarantee, we make it easy for you to find out for yourself how valuable this report is for your business an unprecedented offer in the market research industry. The report analyzes each dollar spent in U.S. Industry 4.0 market via 3 bottom-up research vectors, thus providing a must-have report for all decision-makers in the Industry 4.0 market. 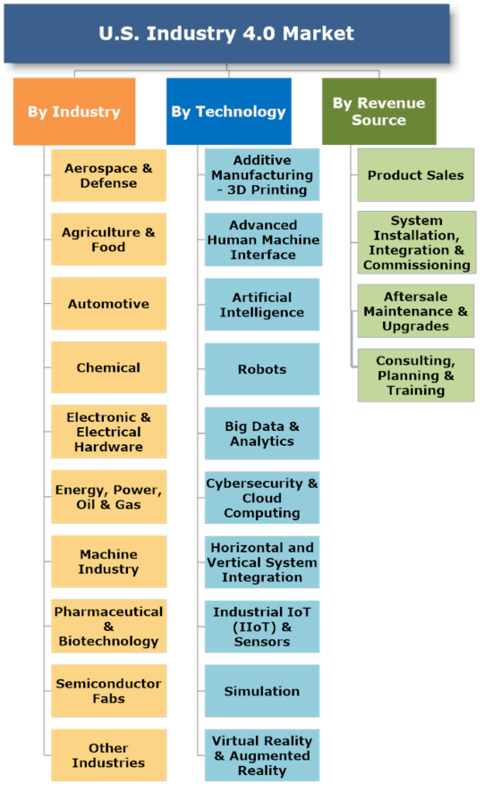 At the last phase of the research (Q4 2017), our analysts conducted a series of 76 face-to- face interviews with multi-billion manufacturing executives. 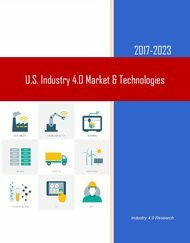 The United States, the world’s second largest manufacturer with a 2017 industrial output, reaching a record level of approximately $2.2 trillion will apply Industry 4.0 technologies to replace China as the world’s largest manufacturer. The “U.S. Industry 4.0 Market & Technologies – 2017-2023” report forecasts that the U.S. Industry 4.0 2016-2023 market will grow at a CAGR of 12.9%. The Federal Government and the private sector invest in Industry 4.0 to increase the American industrial base which has been taken over by China and low labor cost countries in Mexico, Brazil and Asia-Pacific. During Trump administration’s first year, American factories are adding jobs at the fastest pace since 2014. The Industry 4.0 transformation will change long-held dynamics in commerce and global economic balance of power. In the next decades, American businesses will establish global networks that incorporate their machinery, warehousing systems and production facilities in the shape of cyber-physical systems. 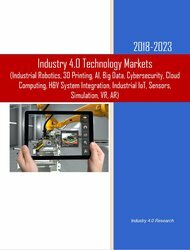 In the manufacturing environment, these cyber-physical systems comprise smart machines, storage systems and production facilities capable of autonomously exchanging information, triggering actions and controlling each other independently. These changes add to the traditional business pressure on manufacturers, but also offer unprecedented opportunities to optimize production processes. The “U.S. Industry 4.0 Market & Technologies – 2017-2023” report is the most comprehensive review of this emerging market available today. It provides a detailed and reasoned roadmap of this rapidly growing market. The report has been explicitly customized for the industry and government decision-makers so as to enable them to identify business opportunities, emerging technologies, market trends and risks, as well as to benchmark business plans. What was the 14 submarkets size and what were the trends during 2016? What is the 2017-2023 forecast for those submarkets? 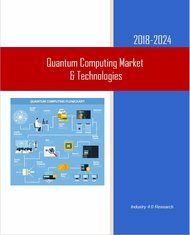 With 362 pages, 55 tables and 68 figures, this 3-volume report covers 10 industries, 10 leading technologies and 4 revenue sources, offering for each of them 2016 estimates and 2017-2023 forecasts and analyses. A. This is the most comprehensive information source of the global Industry 4.0 market and technologies available today. (**) The Meta-Research is based on the statistics of 11 Industry 4.0 surveys conducted by HSRC, BCG, PwC, Deloitte, Roland Berger, Rittal, Siemens and The Economist Intelligence Unit, totaling >4000 responders. 1.19 Huawei Technology Co., Ltd.
1.35 Samsung Electronics Co. Ltd.